If you do what you always did, you get what you always got! By planning and using a positive attitude, I left a 16 year career as a classically trained French chef, got a college degree, became a licensed CPA, own a CPA firm that covers 30 states, became a successful real estate investor and YOU CAN TOO ! A classically trained French chef for 16 years, I went back to college in my 30's, became a CPA, now own a CPA firm that covers 30 states, and in the last 12 years, I have become a successful buy-and-hold real estate investor and YOU CAN TOO! 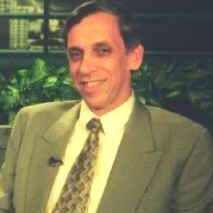 Find out more about Jim Kennedy, CPA at http://www.jameskennedycpa.com/about-jim-kennedy-and-staff/.